Romantic elegance is the keywords for this spectacular gown. From its beautiful v shaped neckline with scalloped details and the deep v back, to the enhancing waistband, this dress will almost make your heart skip a beat. 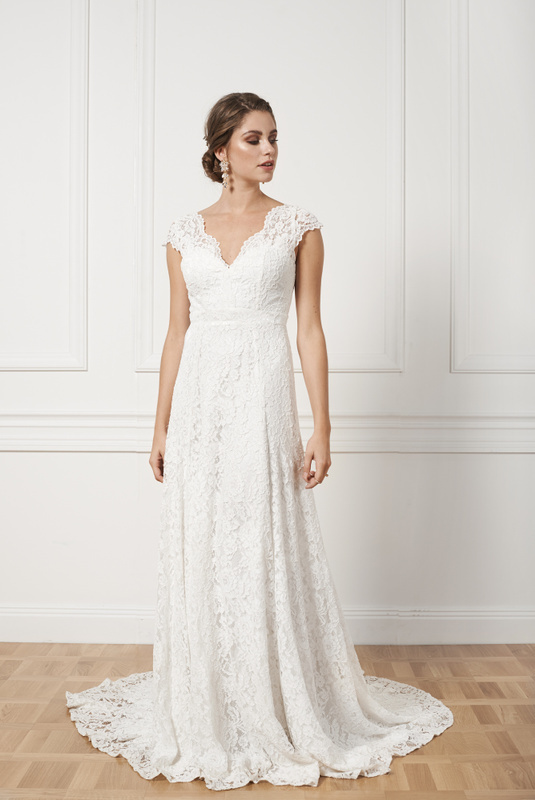 The Saga gown has a fitted bodice with a lace waistband that gives a flattering finish to any body type, delicate cap sleeves, comfortable cotton blend stretch lace and lace-covered buttons in back. The full skirt, with a double silk lining, will make you feel like you came straight out of a dream. 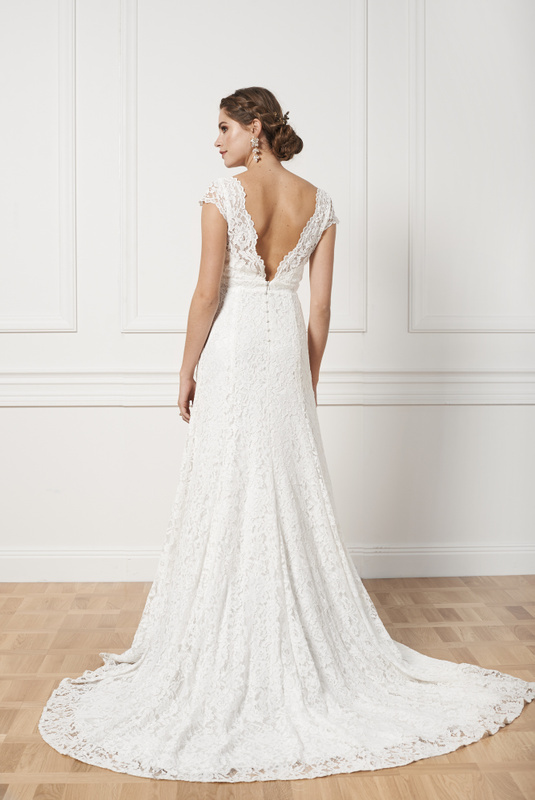 This gown suits every body type and is perfect for the romantic bride looking to shine on her big day.